More about Galli Heritage from Garry Losk. I grew up in and around the building industry; working out in the open air, and the craftsmanship involved in creating a product with my hands were always important to me. I started at a young age. My first job was in a lumber yard while in high school in 1967. We cut and assembled framing loads to local contractors. I learned to operate heavy equipment, fork lifts, front loaders, and semi trucks. To build, package and deliver a large framing load instilled a sense of pride and accomplishment that only those in the Trades could understand; and that team spirit during development projects has stayed with me to this day. I worked my way through San Jose State University working in lumber yards. I also started my own custom furniture and cabinet shop, never suspecting how valuable this craftsmanship and experience would become later in my career. While studying business economics in graduate school in Santa Barbara I continued to work in the trades as a carpenter, helping build two custom homes there. My roots were always in the Bay Area and when my stepfather became ill I moved back to help my mother with the family business. Later I went to work with Arthur A. Pozzi, a well respected lumber broker and former head trader at McMillan and Bloedel, the largest lumber firm in Canada. Mr. Pozzi was then the owner of one of the largest lumber mills on the West coast; it was fifteen acres under roof and a very impressive operation. Mr. Pozzi started manufacturing and marketing a line of wood windows targeting the California market to start. I helped Mr. Pozzi and Mr. Gary Fenati to develop new field offices there and in Nevada. Innovative designs, quality and price brought our windows and patio doors to market very successfully all over the greater Northwest. This was followed by a line of doors and mill work. We opened a large distribution center and were successful once again in bringing a high quality product to the West Coast market. During my career with Mr. Pozzi I met the love of my life Linda Galli in 1978. Soon after, I met her father Mr. Ray F. Galli Jr. Linda and I planned to marry and, "Mr. Galli", as I called him then was anxious to show me his construction operations since we had mutual interests in the building business. Of course, his reputation preceded him; I was struck by the quality and pride in the workmanship he demonstrated as a custom residential builder. But most of all I was impressed by his integrity and sense of history. He had a great respect and admiration, almost a reverence for his father. Ray F. Galli Sr. was well known in the industry and by his many clients as a fair man and a hard working and innovative builder. Ray Jr. had inherited many of those same characteristics. He had successfully continued his father's great reputation and rich family history in the San Francisco Bay Area. He instilled that history and sense of pride in workmanship throughout his company but especially to the carpenters. Old world Craftsmanship was brought though from Eastern European carpenters immigrating through Ellis Island and hired by the Galli family before they could even speak English. Apprenticeship through the generations has continued that pride in craftsmanship as well as maintained that sense of history. To this day our finish carpenters still wear the traditional white overalls that signify their brotherhood and attachment to the Galli history of old world craftsmanship. My wife and I were married in 1982 and soon Mr. Galli expressed an interest in my coming to work with him. His wish was for me to preserve the family heritage and extend the legacy of decades of quality building into the New Millennium. 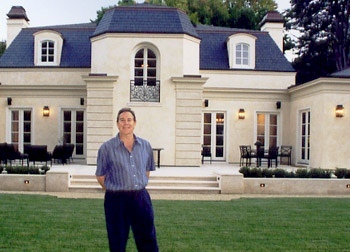 I joined the Galli family business in 1985, and was mentored by one of the most respected builders in the Bay Area. I learned all aspects of the business including estimating, scheduling, contract and subcontract work, and job site supervision from the best in the business, eventually becoming vice president of operations. The pace was fast and furious: We were involved in as many as a dozen new construction projects, extensive addition and major remodeling projects at any one time. The Galli family had constructed many custom homes and hundreds of remodeling projects during my participation. During this time my focus was to modernize. We installed our first computer network, software program, and along with a dozen of our subcontractors, a fax machine! My larger interest was to further enhance the reputation of quality construction we already possessed. I wanted to bring our Galli family business to a new level: the highest quality “super custom” construction projects. It was not long before that first opportunity presented itself. The culmination of my lifetime of experience in the Trades was soon to follow when we were offered the Herb Goodfellow project in Woodside, California; this was a 14,000 square foot custom-built mansion. The owners had heard of our reputation, especially in finish carpentry. We set out together with the owners, to design, fabricate and install the fine custom details and finishes that were their vision. This was a defining moment; the shear magnitude and intricacies of this work and the success we celebrated when the project was completed brought us to the highest level of sophistication and quality. From then on our interests were to seek only projects of architectural interest; projects that would become new landmarks of the Galli legacy and extend the meaning “…Galli built means better built!” in perpetuity. That next major project was the restoration of the Tobin Clark Estate; an historic 36,000 square foot Tudor mansion built in the 1930s in Hillsborough, California. The owner wanted to update and restore the entire building; a new slate roof, the Carmel Stone facade and Tudor corbeling on the outside and the grounds themselves well an restore the interior in total, tastefully in keeping with the original residence. We worked with three different architects and the owner's representatives and landscape architect in the restoration project, plus our complement of craftsmen and Trade professionals. In addition to basic restoration and remodeling we built a six car garage with clock tower, restored the pool house, constructed a new custom 1,400 square foot kitchen and remodeled the his and hers master suites as well as eleven other baths inside the residence. We also built a 4,000 square foot French Beaumaniere Versailles pattern limestone patio. The tremendous success from this most challenging of construction assignments defined Galli as the premier custom builder on the San Francisco Peninsula. This achievement signaled an opportunity to slow down for my father-in-law, and after more than 40 years in business Ray Galli Jr. handed the reins of the company to me. Since then we have been involved in a wide range of high quality building projects. We have worked with some of the most innovative architects such as Farro Essalat and Aaron Green, the contemporary of Frank Lloyd Wright, and the finest artisans and craftsmen in the building industry. Galli remains a custom builder of the highest level of estate homes and commercial buildings ready for the next interesting construction project... maybe yours!! !